After multiple requests, I’m going to give healthy BBQing a shot. It’s surprisingly simple, and sadly low on pork fat. 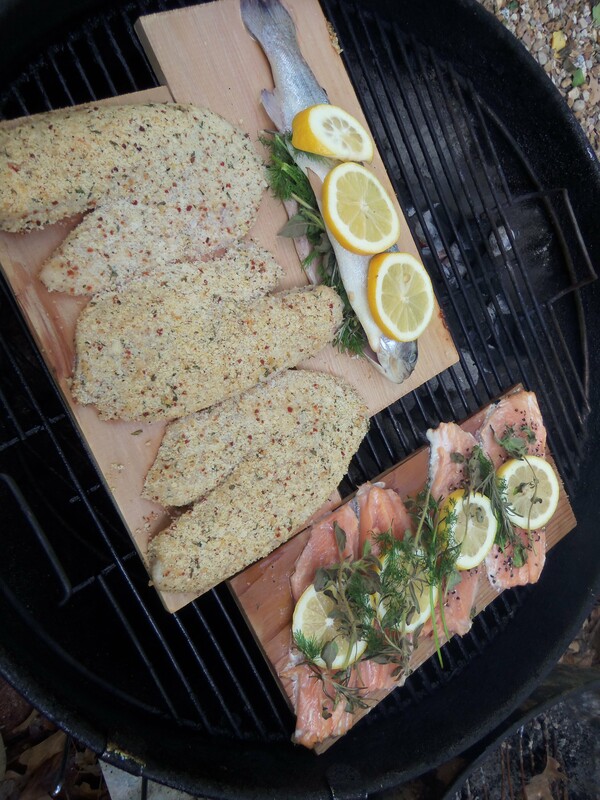 If you have a cholesterol and/or diabetes problem, cooking fish on the BBQ is a great solution. As much as I enjoy fishing, it’s a little early in the season. 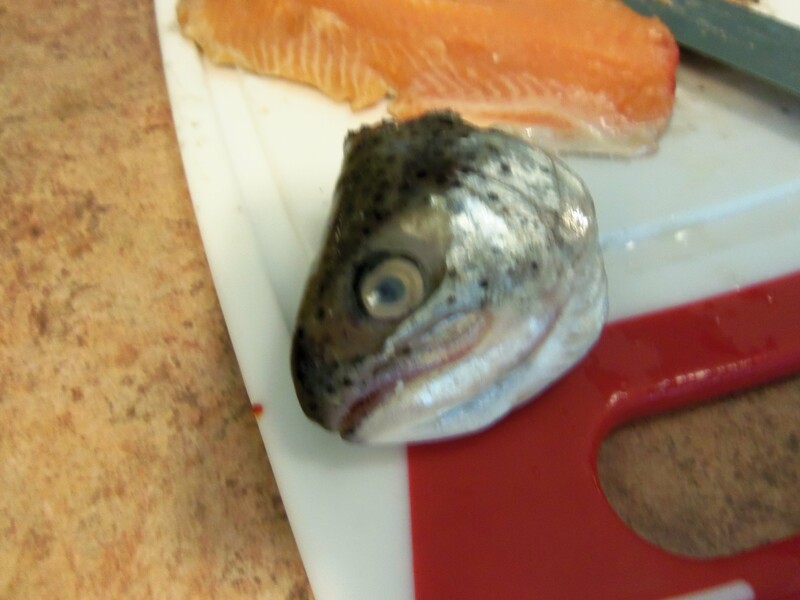 Sam’s Club has some nice fresh whole rainbow trout that will suit my needs. I typically spend my summer fishing season casting a line out in a futile attempt to catch something worth eating or mounting. Instead, I usually just drink a bunch of canned beers and sweat like a dog in an aluminum boat. 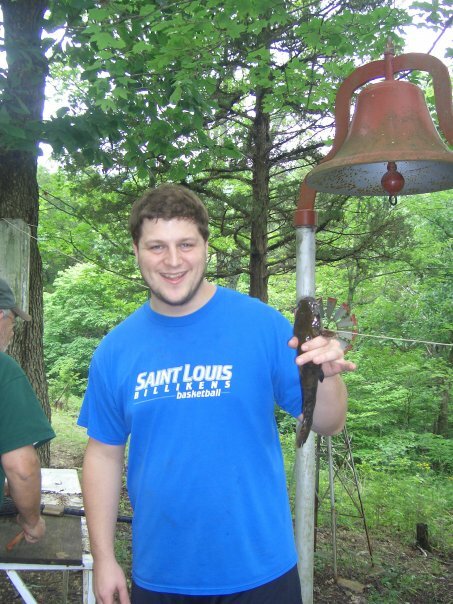 Once in a while, I pull out a pathetic fiddler catfish or something that looks like it could be great for live bait. Having caught nothing for days, a tiny fish is exciting. Anyway, back to the BBQ. Of the three fish, I will let my older two kiddos chop the head and tail off of one each, then watch me try to debone and butterfly them. It’s good to see where your food comes from. One will be BBQed whole. 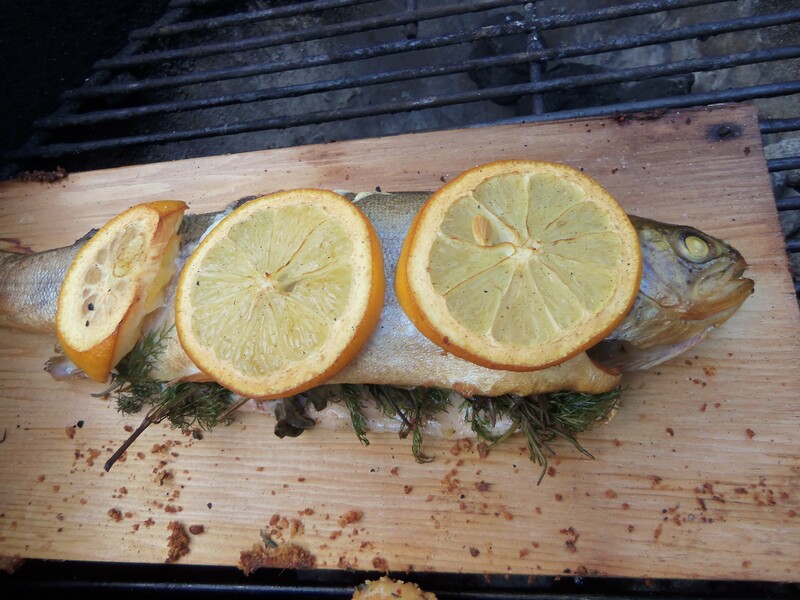 The whole fish get cleaned off and then stuffed for smoking on the cedar plank. Inside Mr. 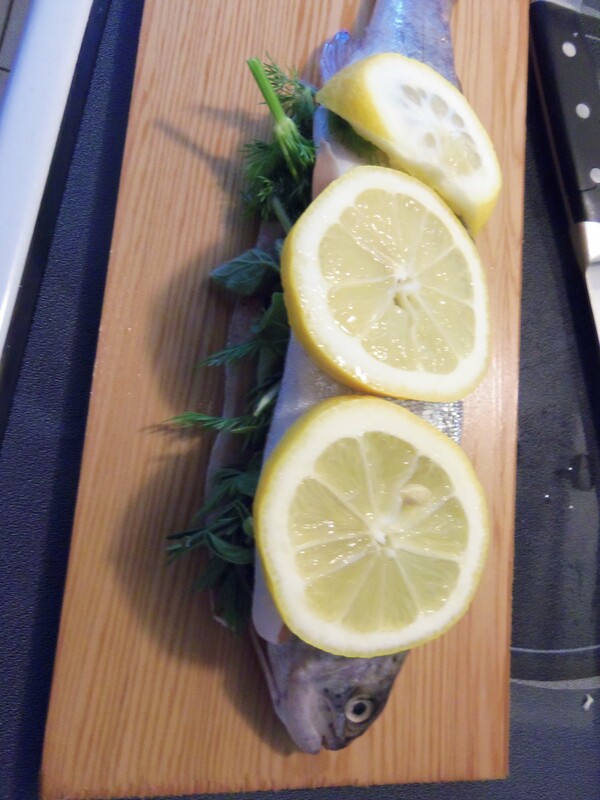 Fish will go some peeled garlic and some sprigs of oregano, rosemary, and dill. 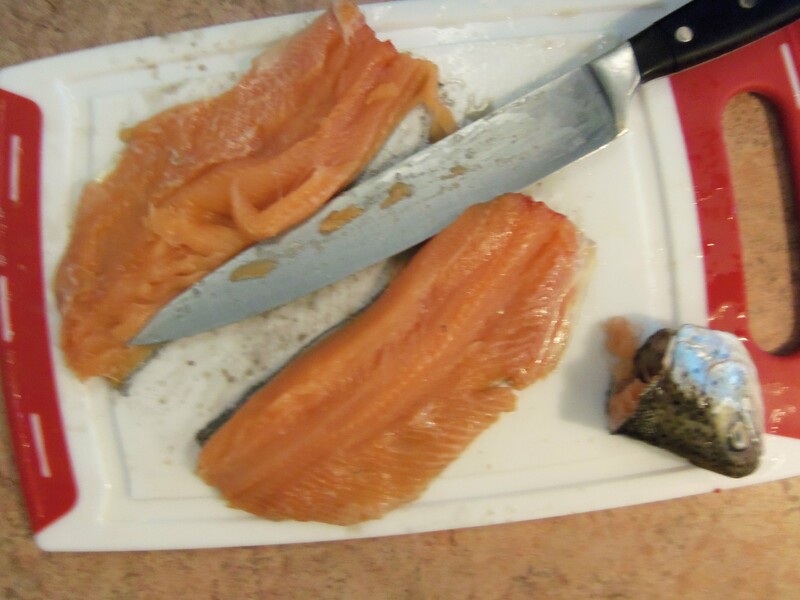 The outside of the skin gets about four diagonal slits and a few lemon slices. The other two trout were decapitated, then I took off the tail, the fins, and made two filets from each fish, leaving the skin on. I put the four filets on the cedar plank, skin side down. The flesh got some salt, coarse black pepper, and a semi-random assorting of lemon slices and herbs. Having never done this before, I hacked the hell out of a couple filets. I didn’t lose too much meat, though. It just looks like an uncoordinated idiot with a knife got a hold of the fish. 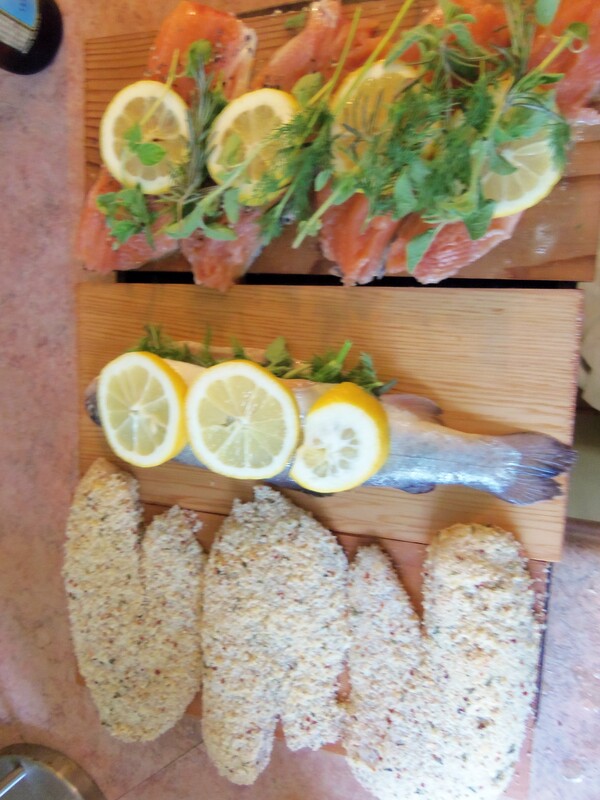 In addition to the rainbow trout, the kids like the Schnuck’s-prepared Parmesan breadcrumb encrusted Tilapia, so we had three planks going on one grill. Just in case our guests weren’t interested in fish, we threw on a couple steaks: ribeye and strip, each with some salt and coarse pepper, cooked medium rare. What an exhausting fiasco cooking all this food. Time for some beer. 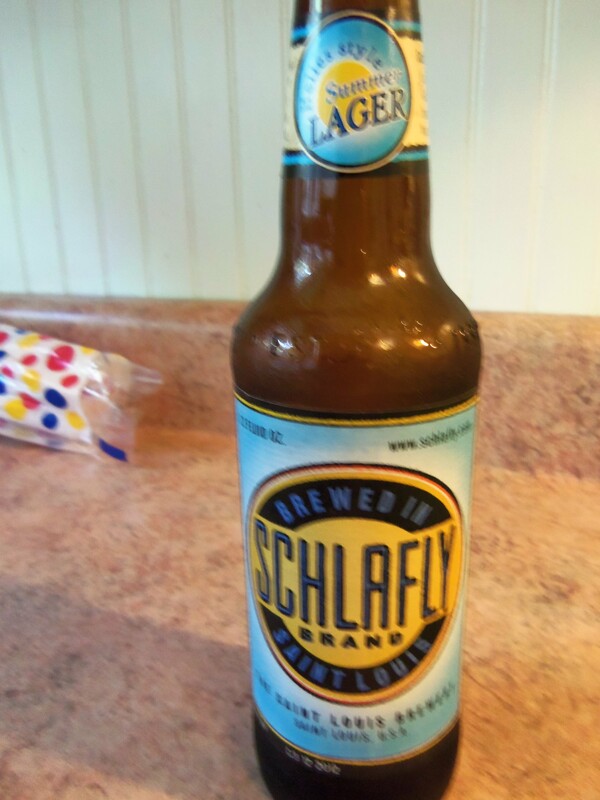 How about the Schlafly Helles Style Summer Lager? It’s a refreshing session beer with a light fruity aroma and aftertaste. The crisp, airy flavor goes well with BBQing, yard work, fishing, or just eating BBQed fish. Pick some up. 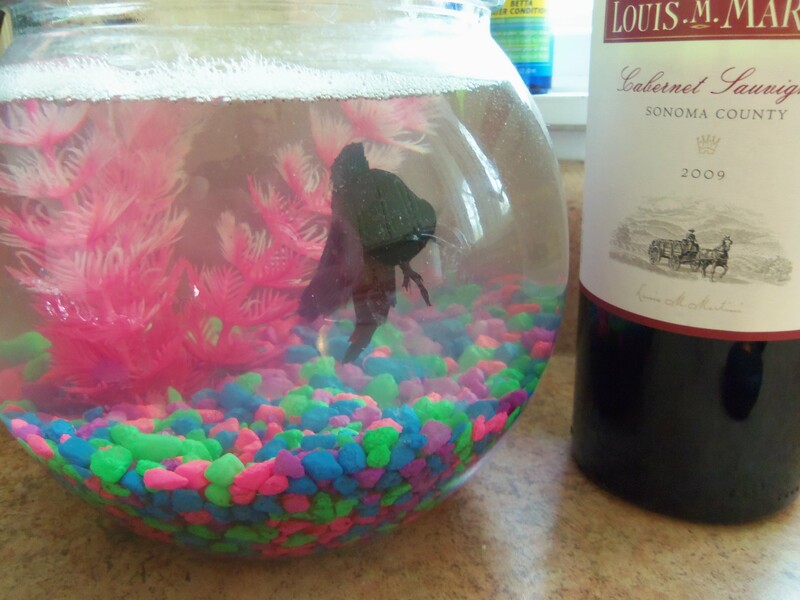 During all of this, I noticed that the betta fish became agitated, perhaps a little nervous. Checking in on the grill, things are going well. 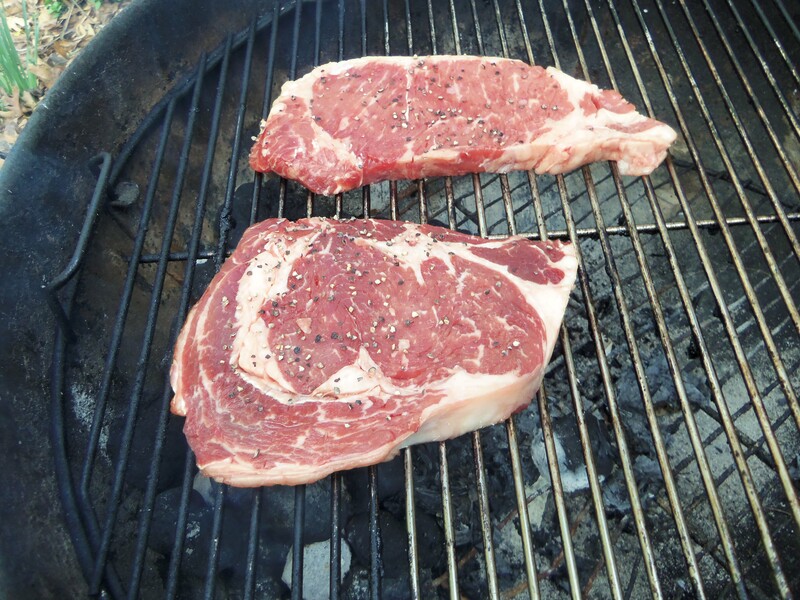 The grill has a very different smell as opposed to the usual pork / beef aromas. The light fish and herb smell is a nice change of pace. 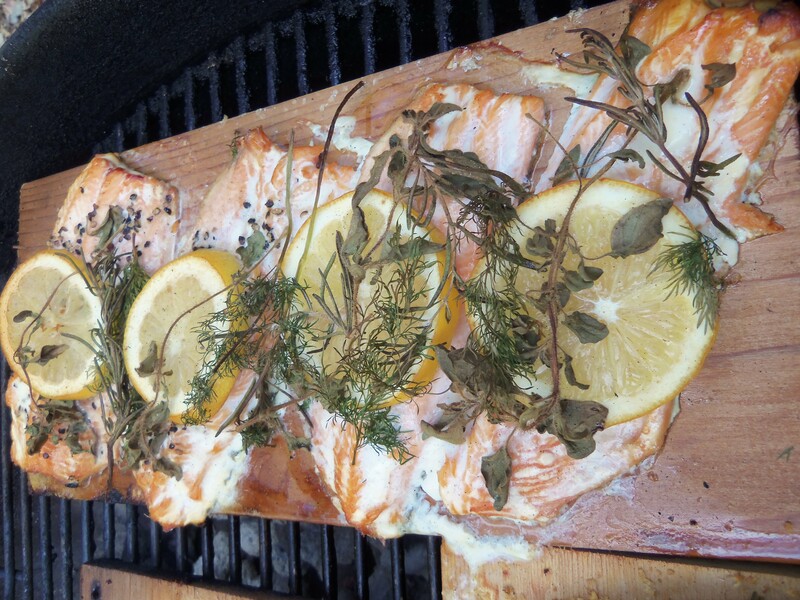 It simply looks amazing as the cedar plank does its magic. In all, the BBQed meats paired up with some cold beers, red wine, roasted asparagus, foil-wrapped corn, and a vinaigrette salad. 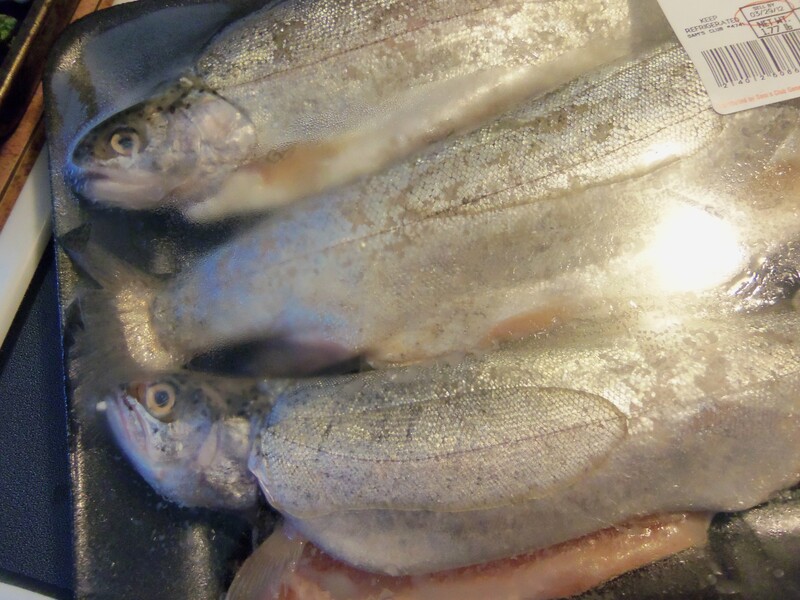 Comparing the two rainbow trout methods, each was distinct. 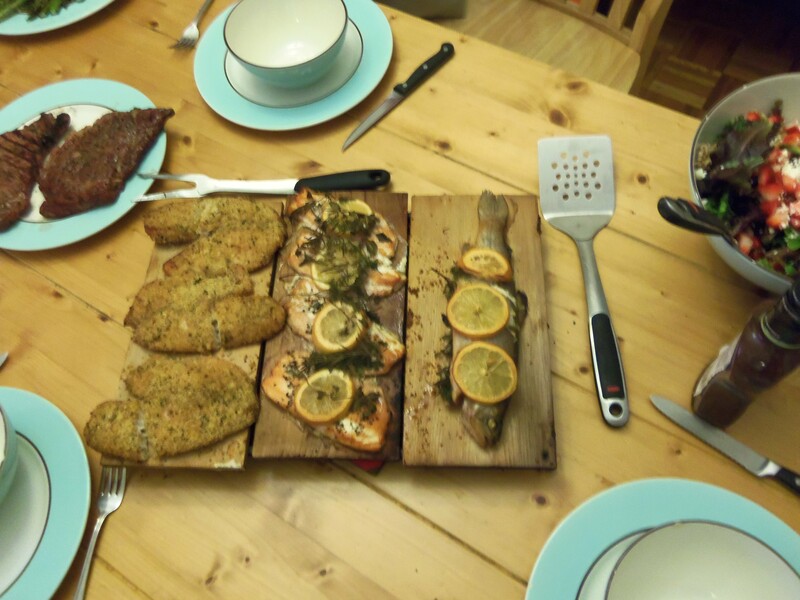 The filets on the plank had a much richer cedar smoke flavor, as opposed to the whole fish, which had a milder herb flavor. Obviously this was due to the exposed flesh of the filets whereas the whole fish’s flesh was fairly well protected from the smoke. I found the textures to be very similar, as each was very moist and enjoyable. Seeing that you can just buy deboned, pre-cut filets at the grocery store and get a savory BBQ experience, I may just go that route in the future. 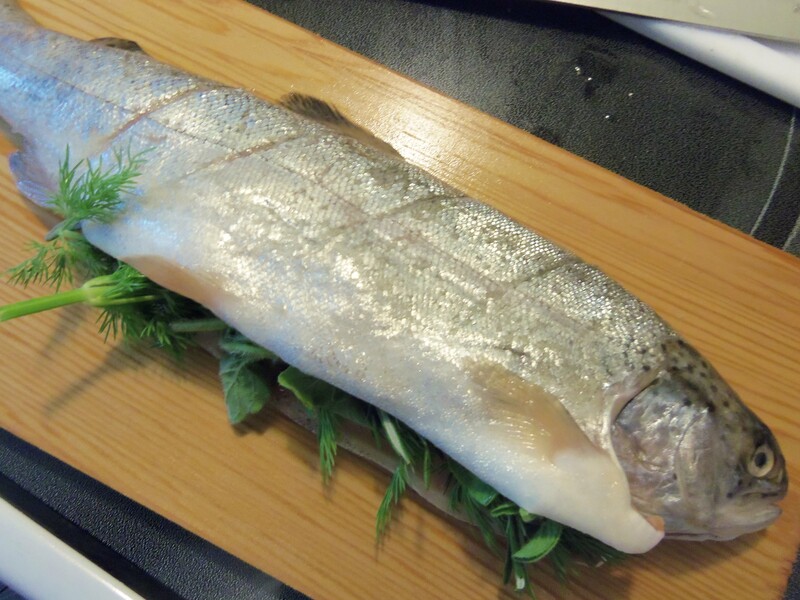 The presentation isn’t quite as cool as the whole fish, but the preparation would be much easier going forward. 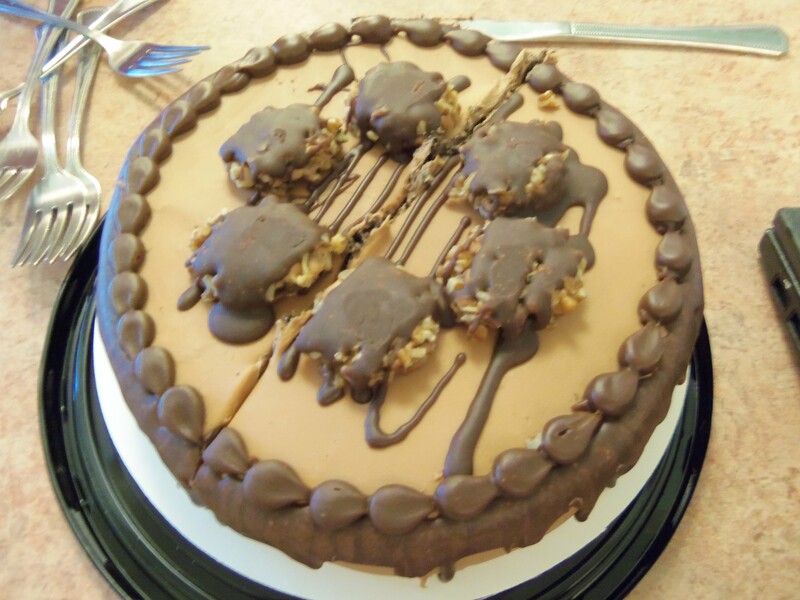 Following this massive feast, we finished with a turtle cake. Yes. Does the gluttony not end? I’m tempted to try this technique with some sea bass and mahi mahi. It’s incredibly easy, very flavorful, and exceptionally healthy. Don’t expect much more healthy stuff from this blog anytime soon, though.